(TibetanReview.net, Apr14’19) – Famed doctor of Tibetan Medicine Dr Yeshi Dhonden, a doctor of last resort for chronic patients, especially cancer sufferers, from across India as well as abroad, has stopped taking appointments from Apr 1, citing his nonagenarian age and declining health. Patients usually had to get appointment a month in advance to be seen by him. Now aged 92, Dr Yeshi Dhonden, was awarded a Padma Shri, India’s fourth highest civilian honour, on the occasion of India’s 69th Republic Day on Jan 26, 2018. 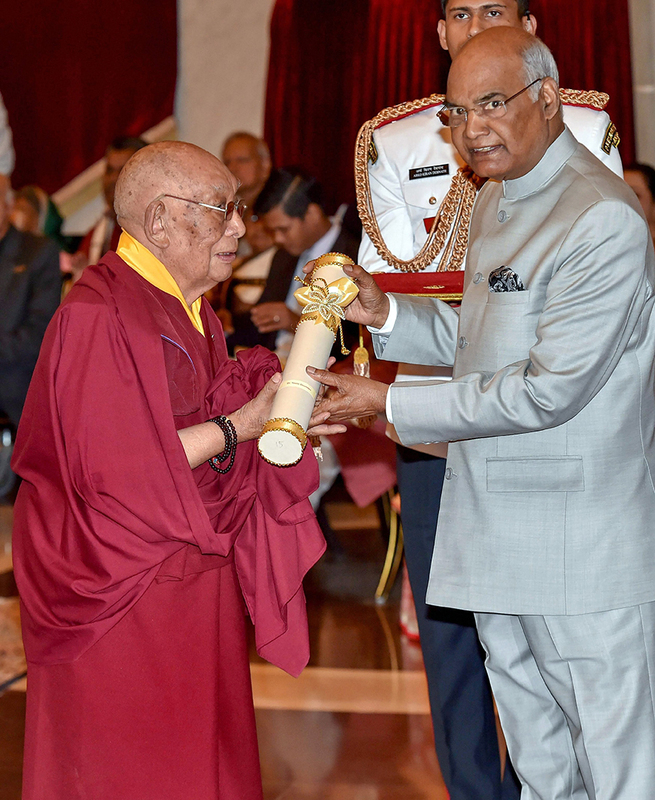 He received the award from the President of India at a presidential palace ceremony on Mar 20, 2018 for his contributions in the field of medicine through Sowa Rigpa, the traditional Tibetan medical system. 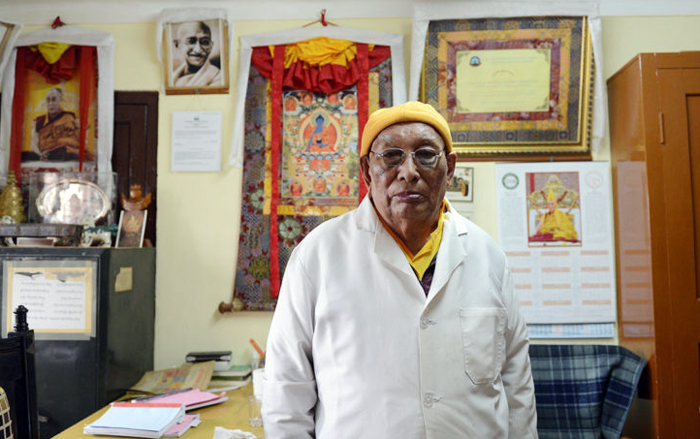 Dr Yeshi Dhonden, a monk, has been the personal physician of His Holiness the Dalai Lama from 1960 to 1980. He was also the head of the Tibetan Medical and Astrological Institute (TMAI), an autonomous educational and healthcare centre in the field of Sowa Rigpa under the Central Tibetan Administration at Dharamsala, from its start in 1961 until 1979. He has been seeing only 50 patients each day in his old age. Dr Yeshi Dhonden has authored or co-authored three books on Tibetan Medicine: Health Through Balance: An Introduction to Tibetan Medicine (1986, with Jeffrey Hopkins), Healing from the Source: The Science and Lore of Tibetan Medicine (2000, with B. Alan Wallace), and The Ambrosia of Heart Tantra (2006, with Jhampa Kelsang).